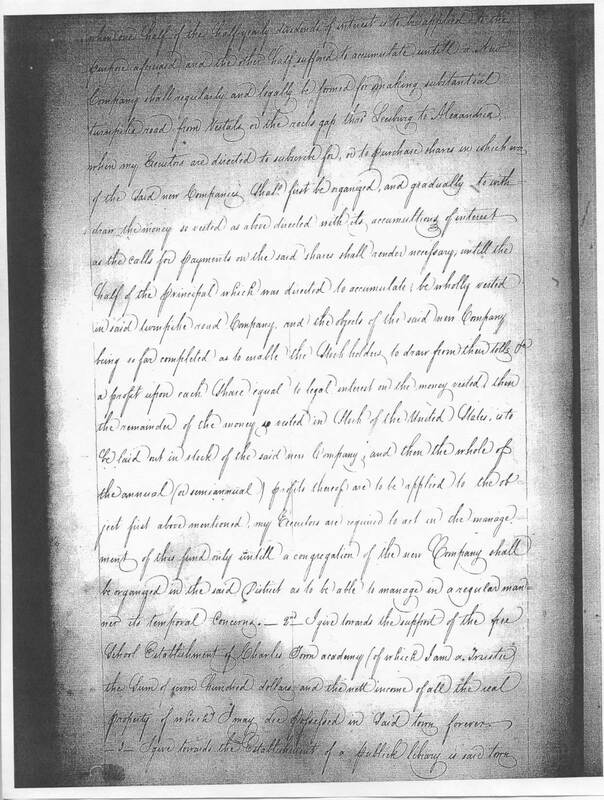 This is the last Will and Testament of Fredinando Fairfax, signed and sealed on the 8th of November 1799 (contains 25 pages). 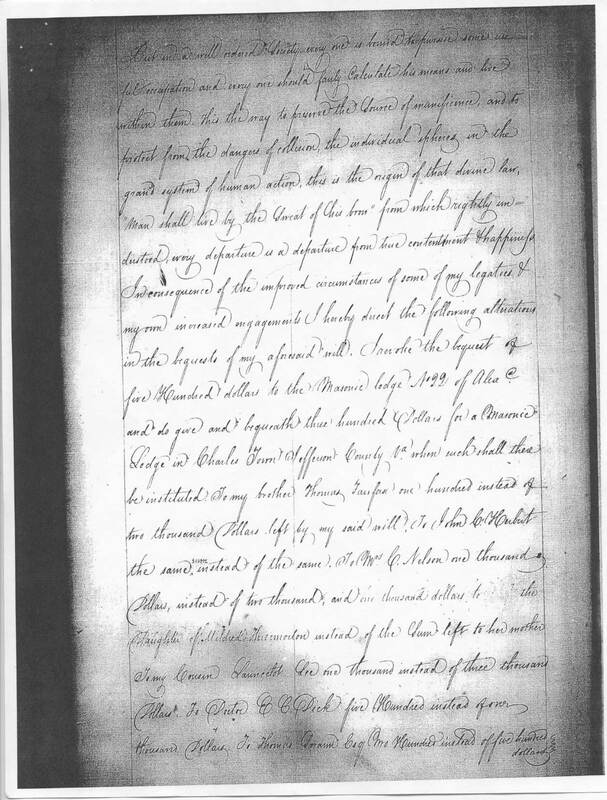 The first 6 and a half recorded pages, 143-149 (see pages 1-7 below), contain the division of his American properties among his family. 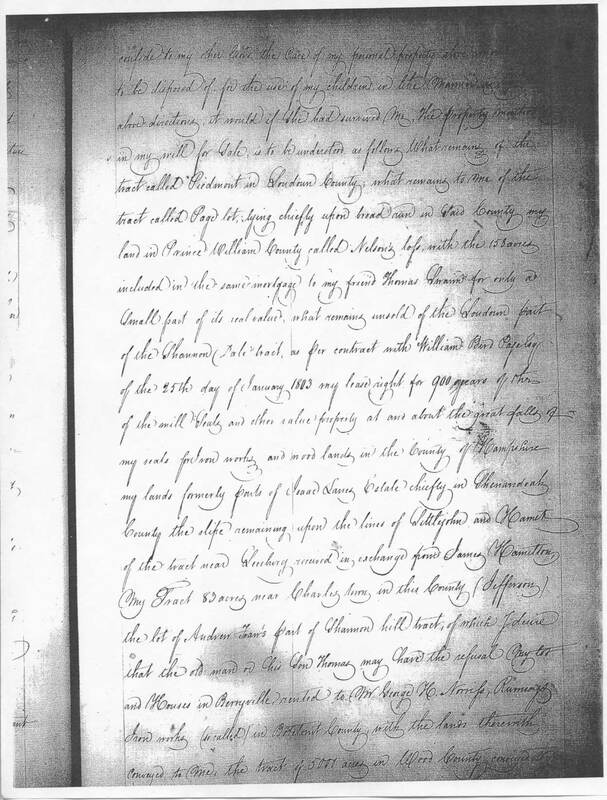 The residue of the Will, pages 149-157 (see pages 7-15 below), shows his generosity towards the people in his life, beneficiaries include ministers, friends, doctors and also mentions his property stewards. 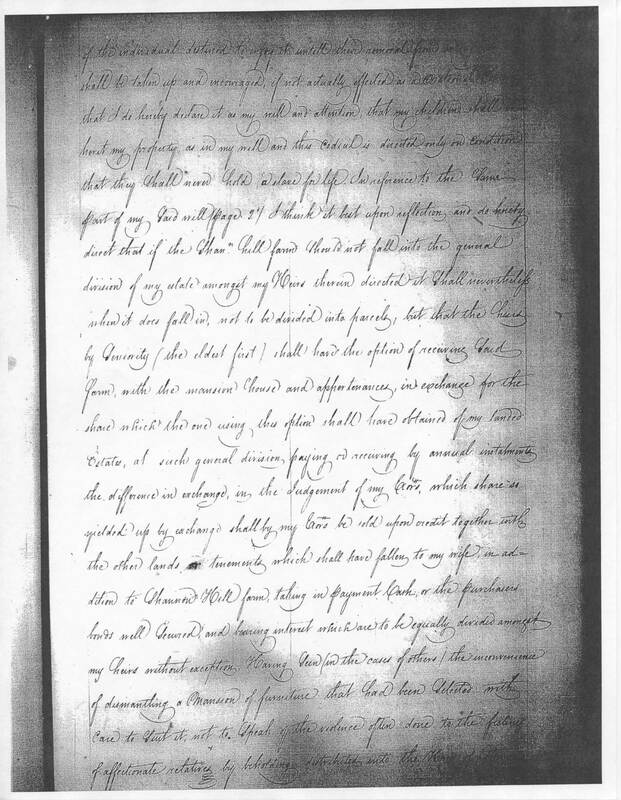 The last paragraph contains "Notes of corrections". 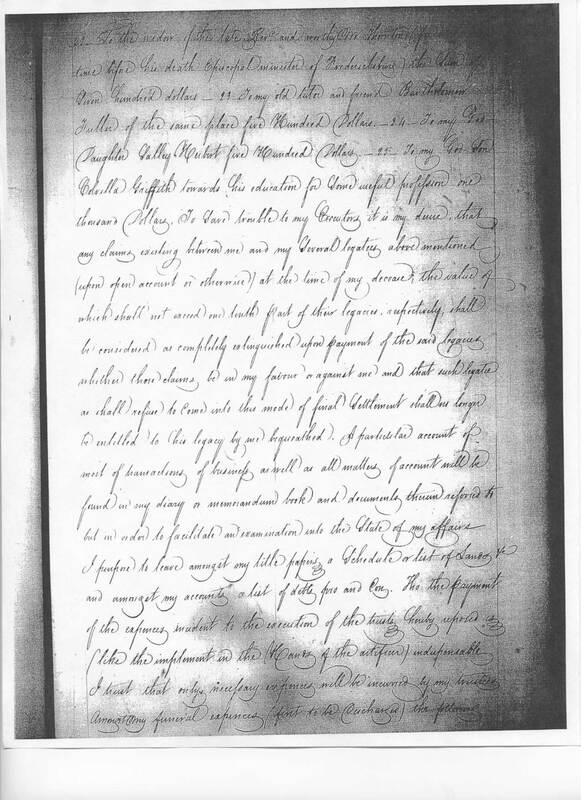 He describes the many pages of the Will in detail. 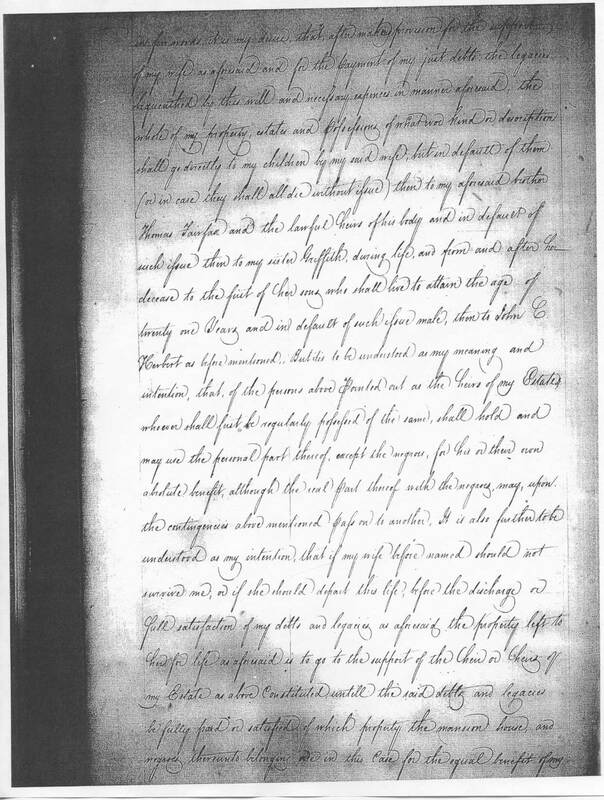 Here's an example as written: "...I have near the bottom of the sixteenth page there of (contained in four quarter sheets of paper) subscribed my name and affixed my seal, (sealing also the end of the blue and white taste[sic] by which they are bound together)...". 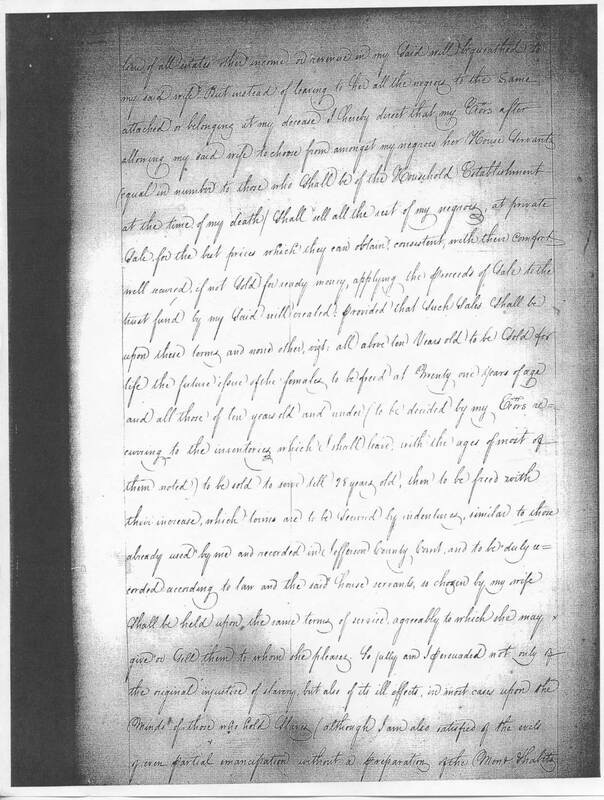 The codicil, pages 157-167 (see pages 15-24 below), includes the division of his personal property overlooked in the original Will. 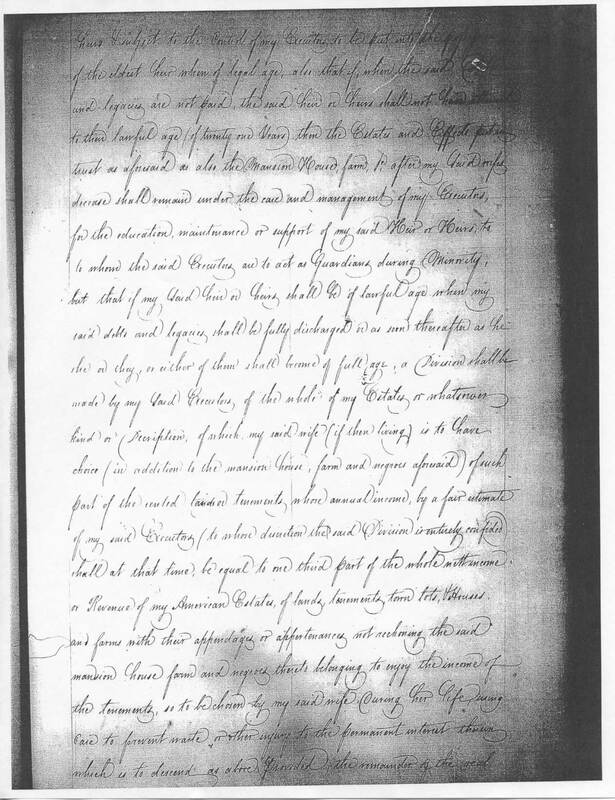 After he assessed his wealth he reduced the amount bequeathed to the beneficiaries. 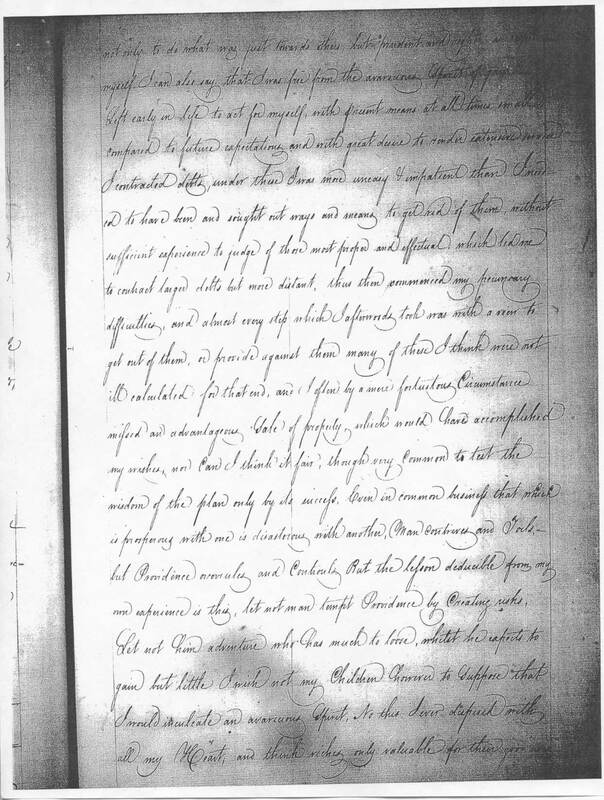 It was said that if Ferdinando had received all he was owed, he would have been one of the wealthiest men in Virginia. 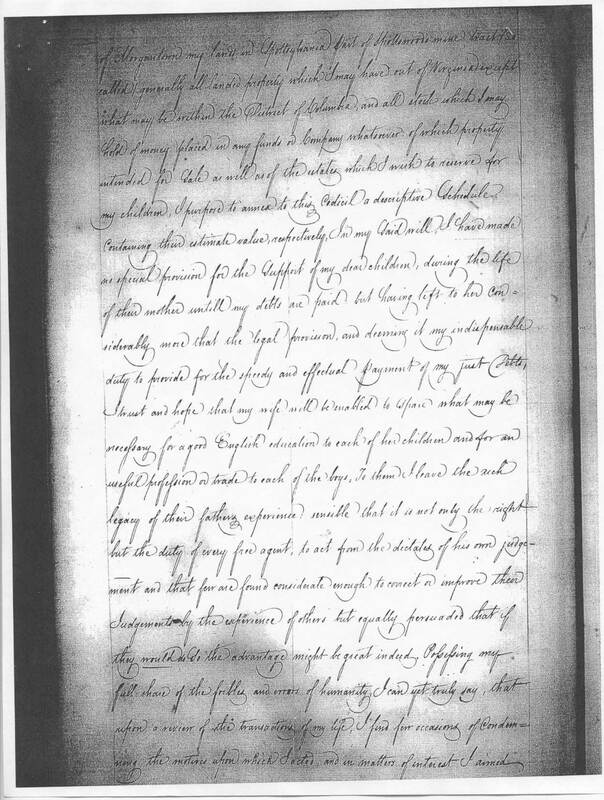 Ferdinando again reserves the last pages, 165-166 (see pages 23 & 24 below), of the codicil for "notes of correction", description and explanations giving more clarity to his intent. 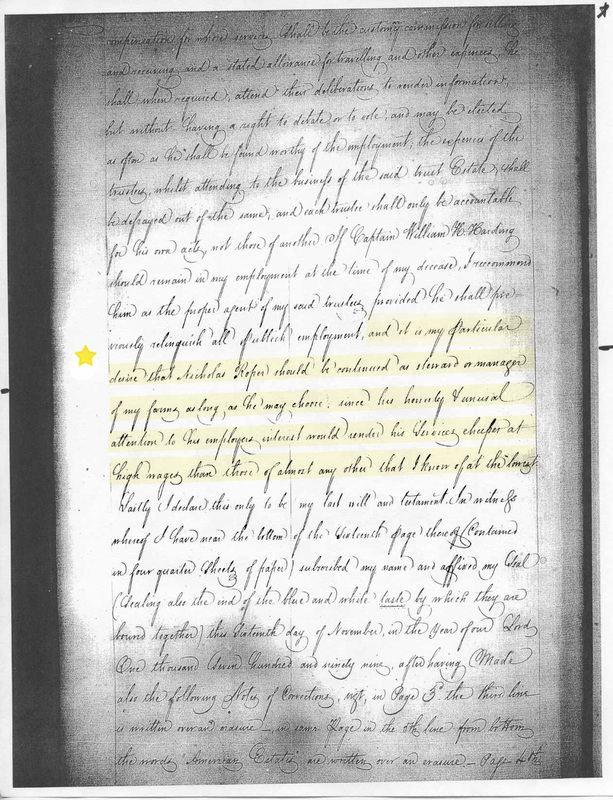 He also describes the pages that have blotted out words and he points out words "interlined"[sic]. 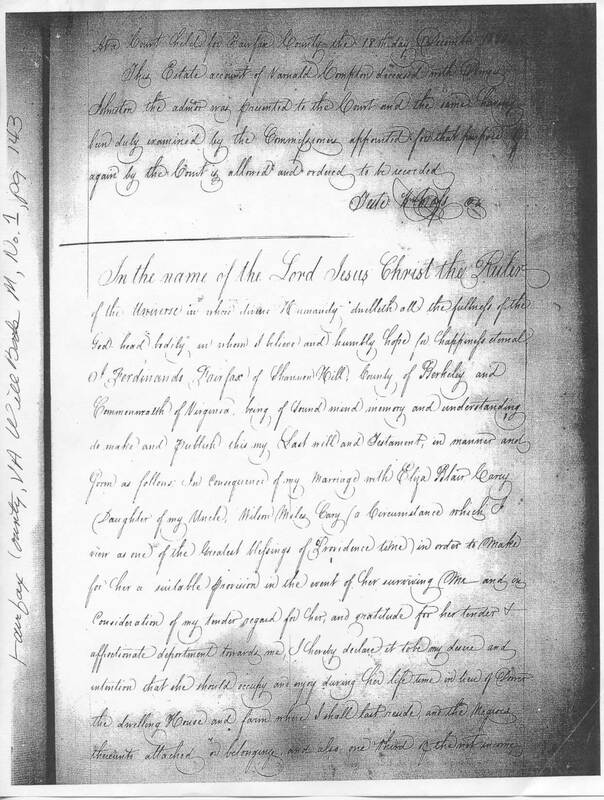 The codicil was signed sealed on 26th September 1806. 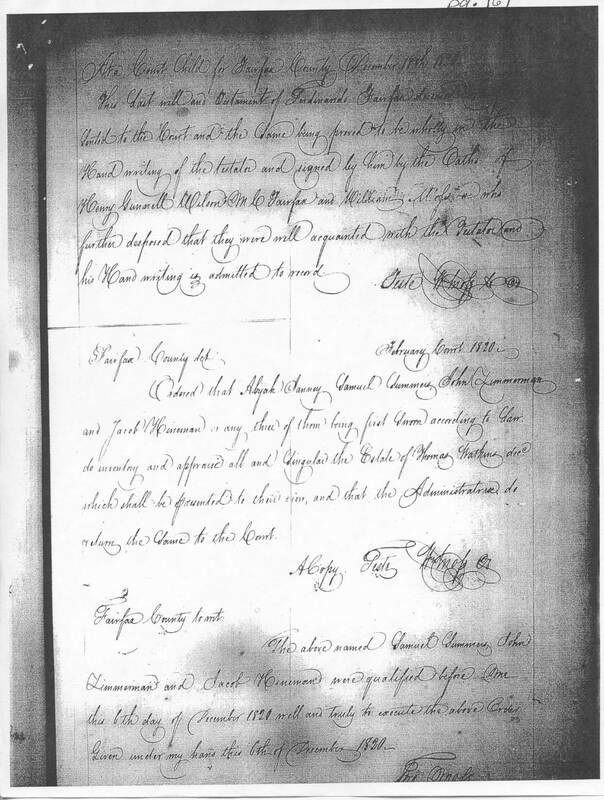 Property Steward Nicholas Roper witnessed the Will signing his name along with James Milton and William H. Harding. Nicholas was the last entry in given Will, page 156 (see page 14 below). 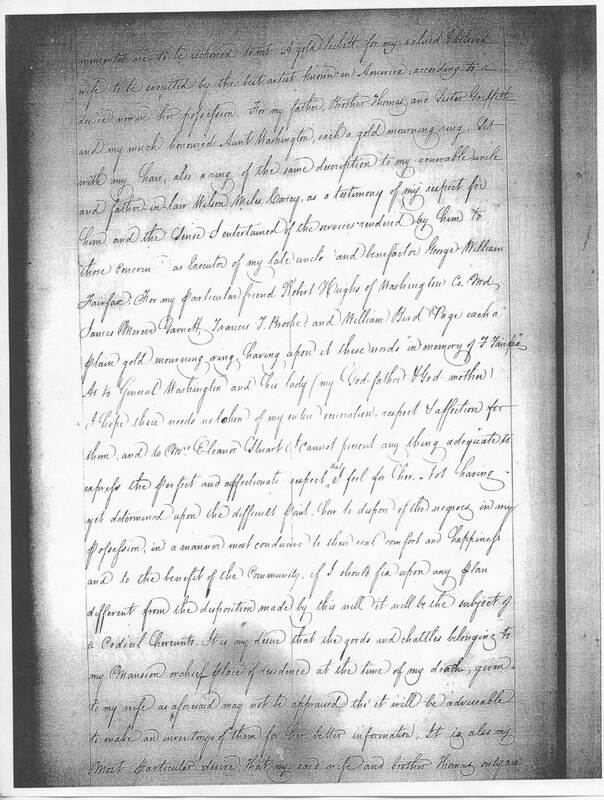 The entry reads as follows: "...and it is my particular desire that Nicholas Roper should be continued as steward or manager of my farms as long, as he may choose since his honesty & unusal[sic] attention to his employers interest would render his services cheeper[sic] at high wages than those of almost any other that I know of at the lowest." 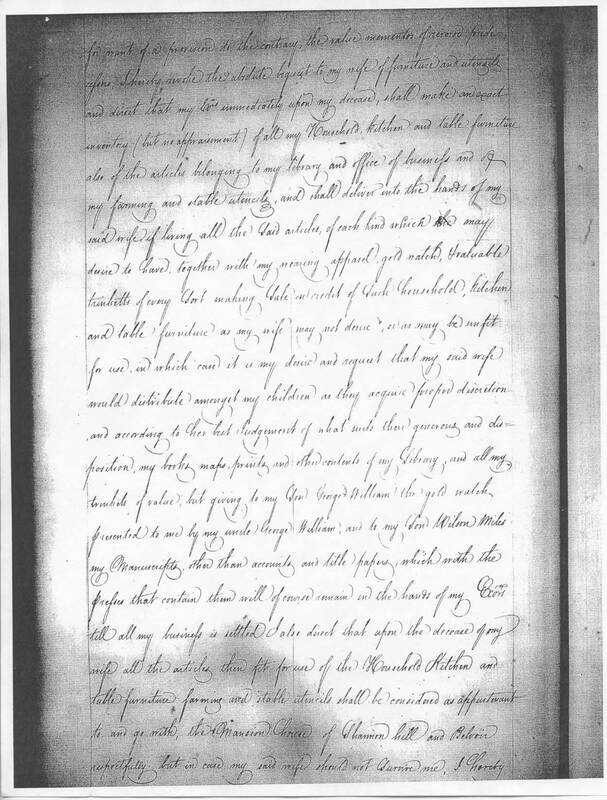 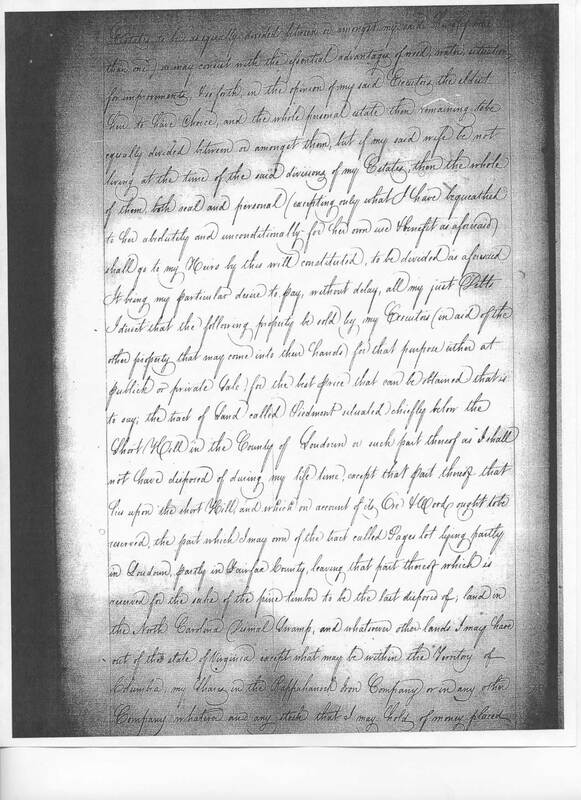 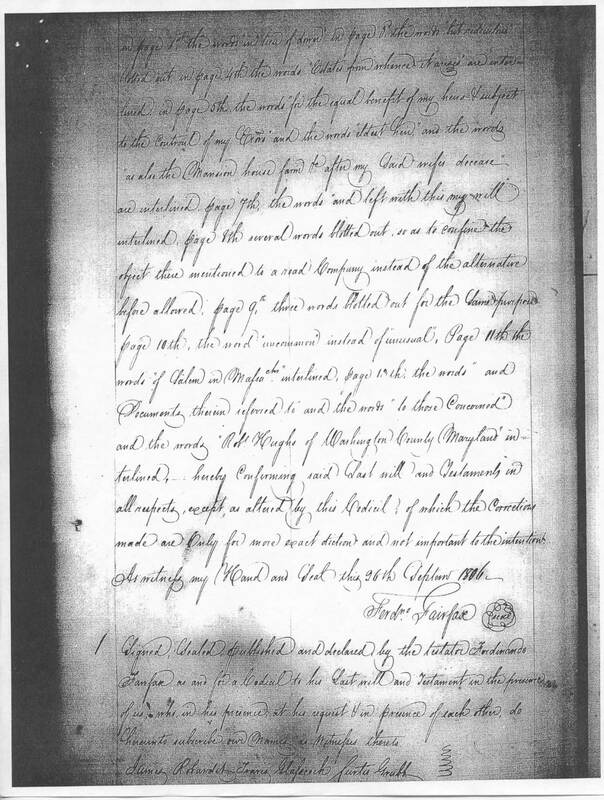 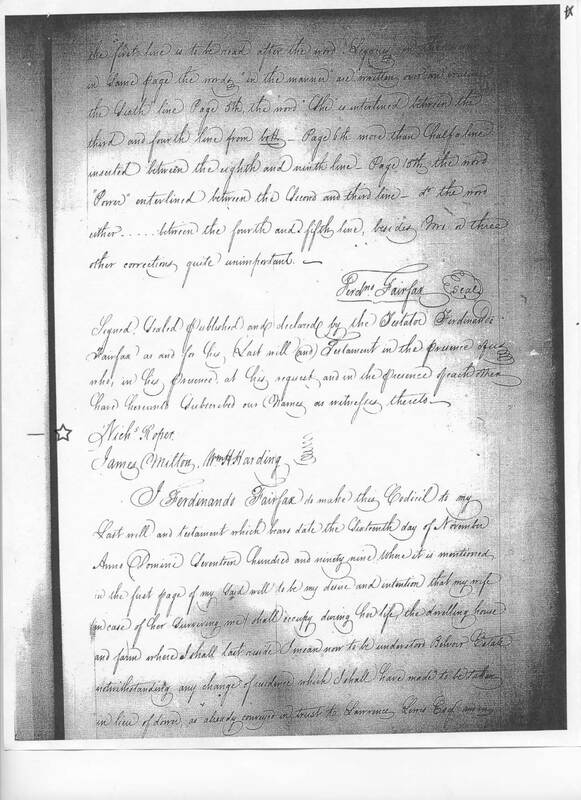 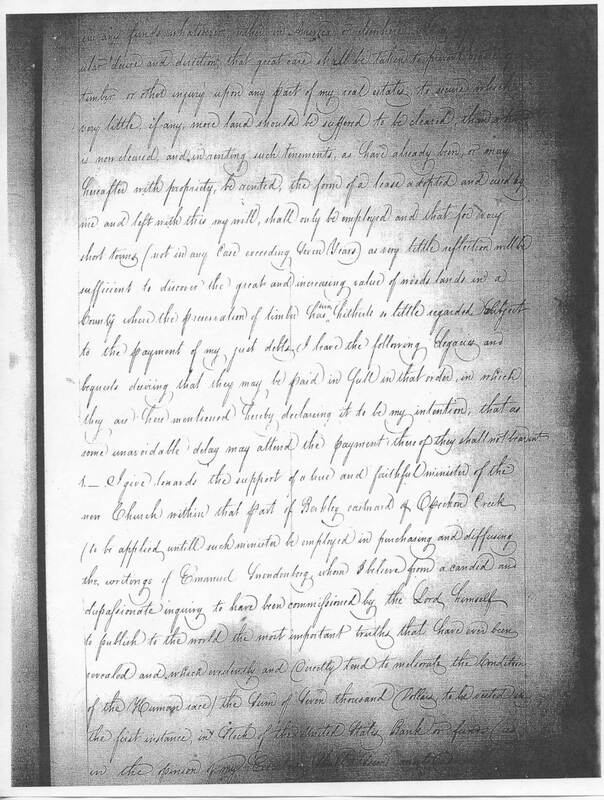 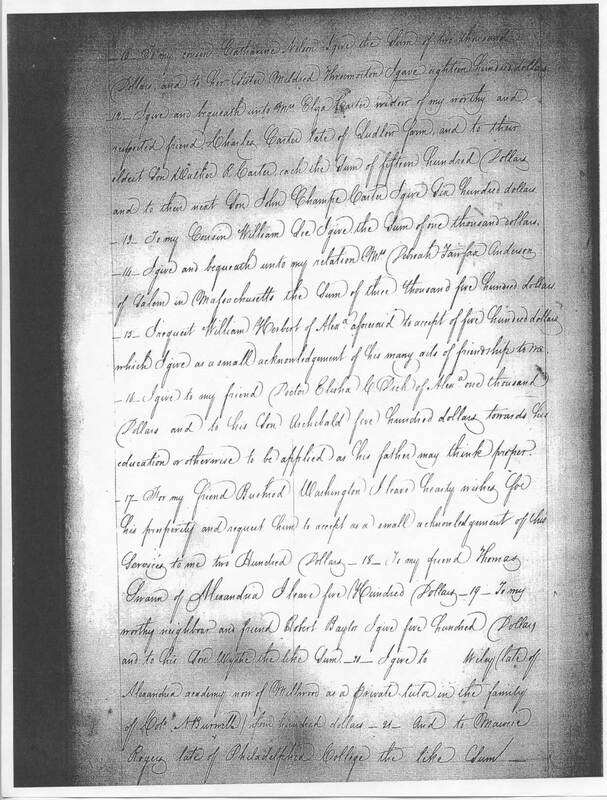 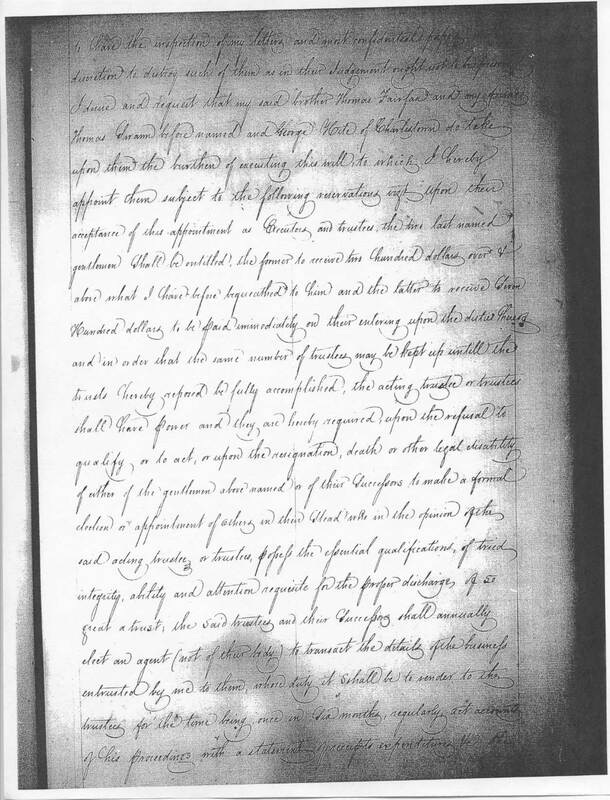 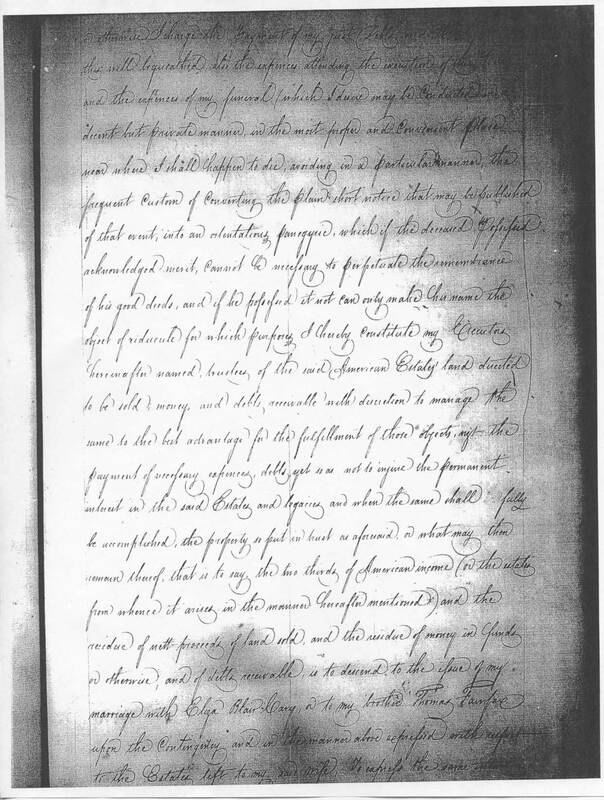 The last Will and Testament of Ferdinando Fairfax was probated at a court held for Fairfax County 18th of December 1820 (page 167 see page 25 below). 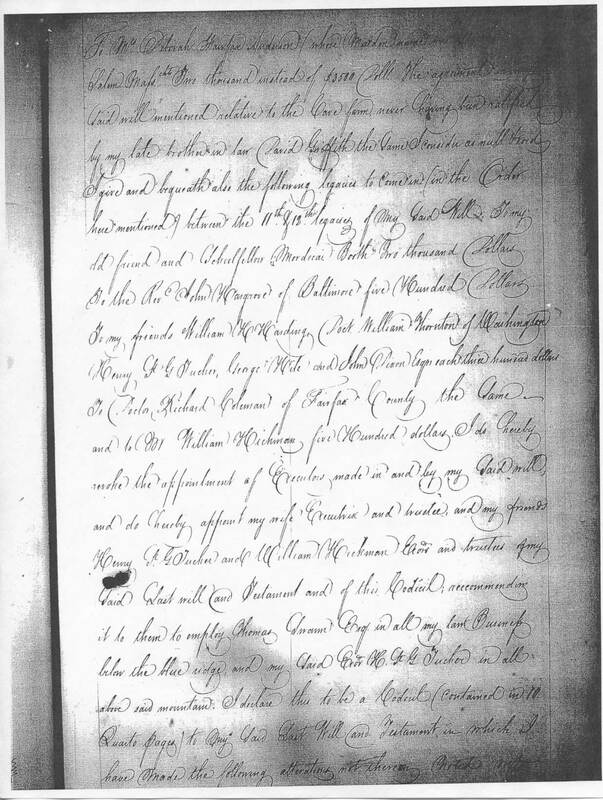 Recorded in Fairfax County, Virginia Will Book M, No.1, pages 143 - 167. 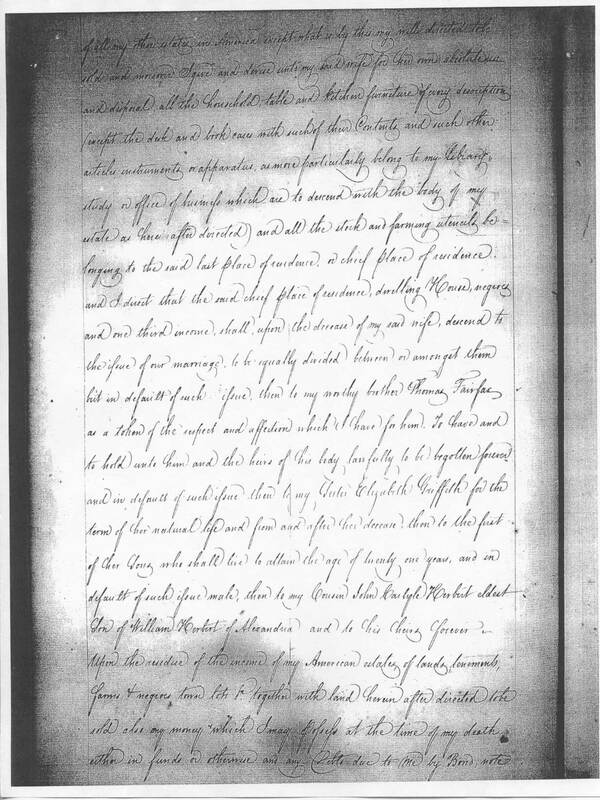 Copy of Will provided by Judy Meade - Scanned images provided by Jacqueline Milburn.